This was the first story in the book. I thought it was a fabulous start to the novel. I loved the characters and I liked the mystery behind Stuart. Considering there wasn't much space for mystery and intensity (because it was only a short story) I think the author did a great job of keeping me hooked! I found it a little predictable but I realise that with romances there isn't much space to expand and be unique, especially in a limited amount of pages! In all honesty, John Green's contribution was the main reason I picked this book up. This was my favourite short story out of the three because it was humorous and light-hearted. I loved the characters and was so happy at the ending! It was a little tense at scenes but I enjoyed that because it made me want to keep reading. This story was similarly predictable but that is canceled out by the awesome plot. Overall all the short stories in this novel were really well written and creative. 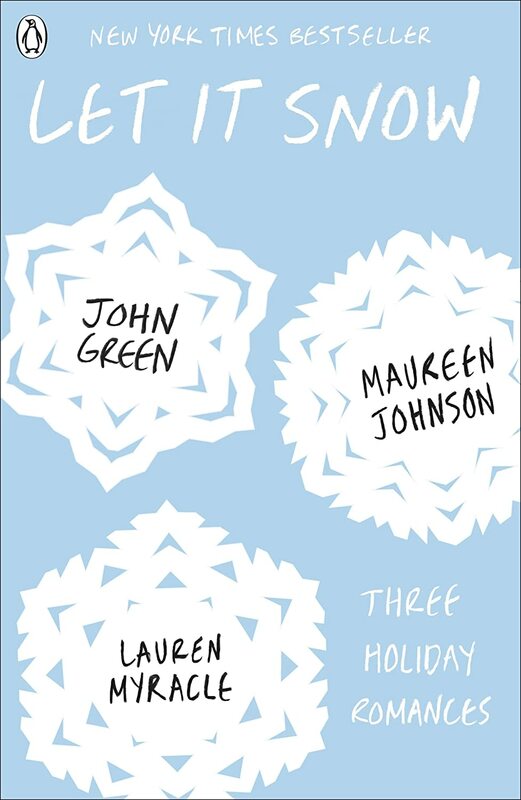 I loved each of the short stories and would definitely recommend it if you're looking to get into the festive spirit! Oh why did you hate TFIOS? You have to be one of the only people I've ever spoken to who has said they disliked it ahaa... John Green is one of my favourite authors! I have seen this one as well, but wasn't sure if I wanted to pick it up because I wasn't a huge fan of TFiOS, even though I didn't hate it, I couldn't love it or many of his other books either. But this sounds like come cute stories that all connect in the end!